Imagine a city where the houses are watching wherever you go. 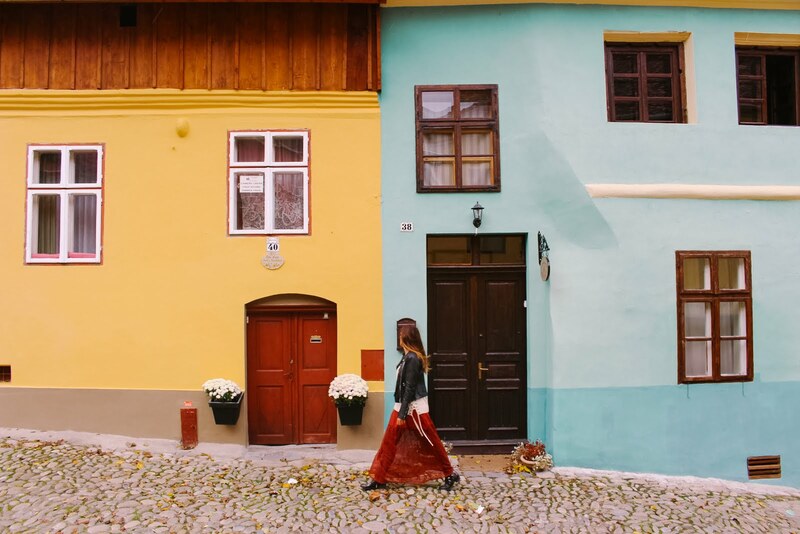 Imagine a country full of castles and citadels, legends and traditions, mixed with beautiful landscapes of colorful forests, lakes and mountains, medieval towns and fairytale houses… Welcome to Romania! Or I should say, welcome to the fairy tale land. 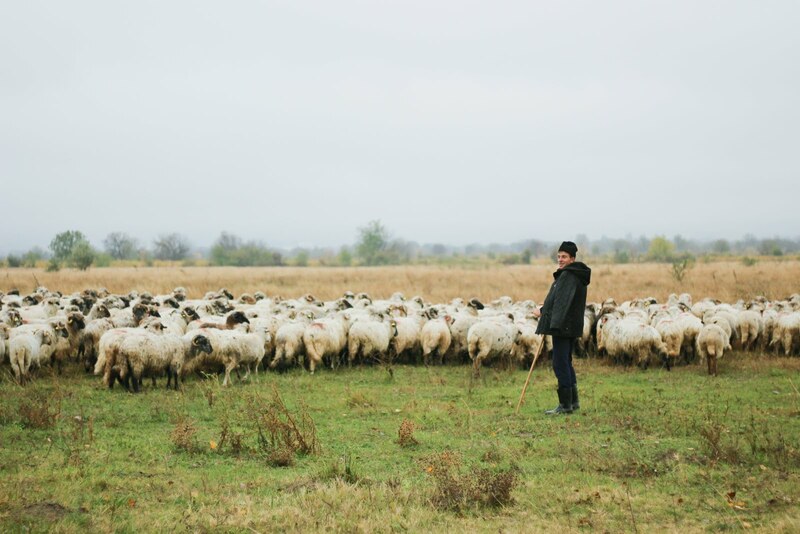 We’ve been discovering Romania’s traditions, heritage and landscapes for 15 days. 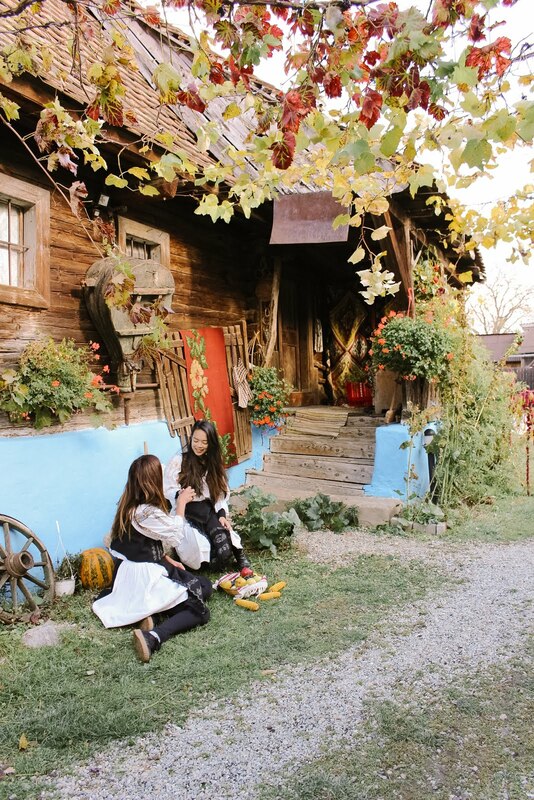 What truly captivated me – and the little girl who still lives inside me – were some of the experiences we lived there, worth of the Grimm brothers’ stories. 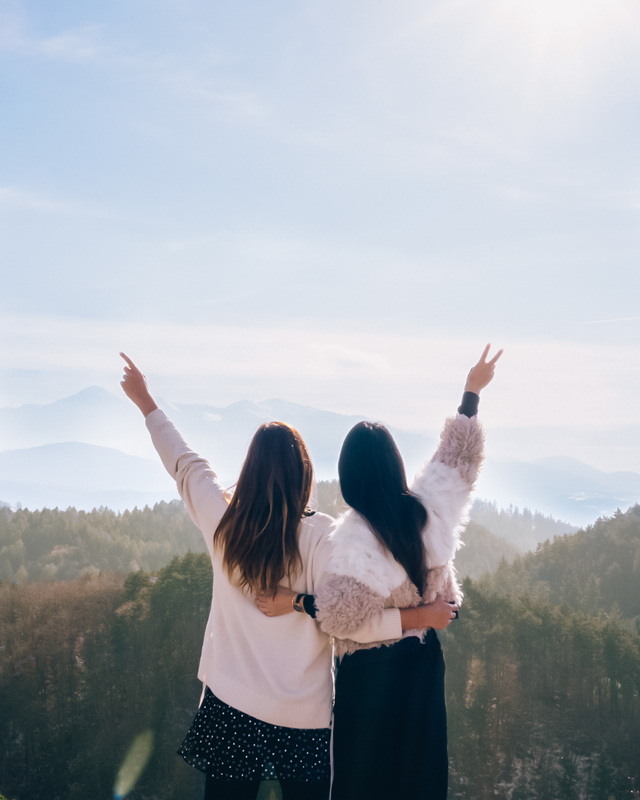 Spoiler: You won’t find witch stories in this post! 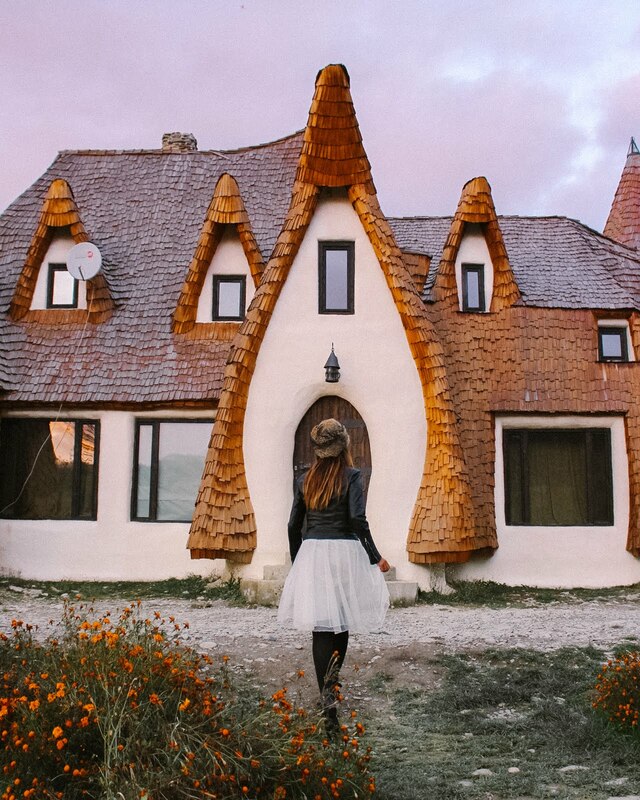 There are many places in Romania that seem to be taken from fairy tales. 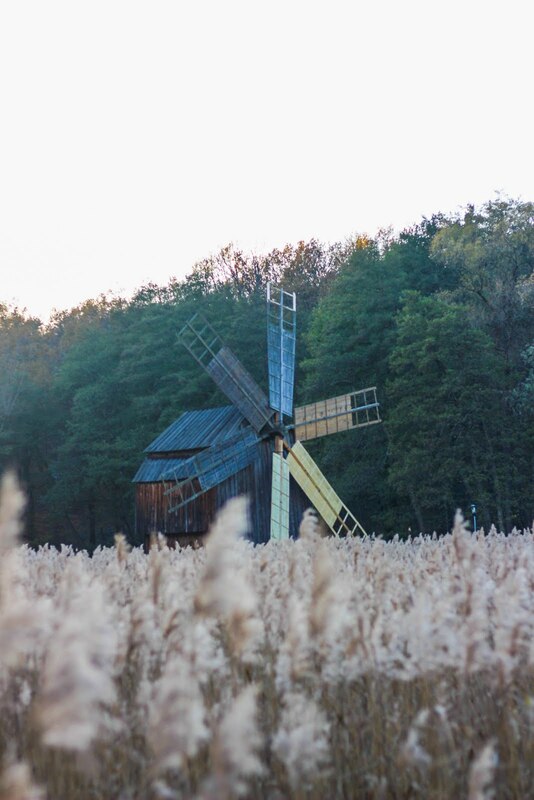 Some of them are located off the beaten path, but they all deserve to be discovered and they’re all waiting for you. If you plan a trip to this beautiful country, don’t forget to include these experiences on your itinerary. 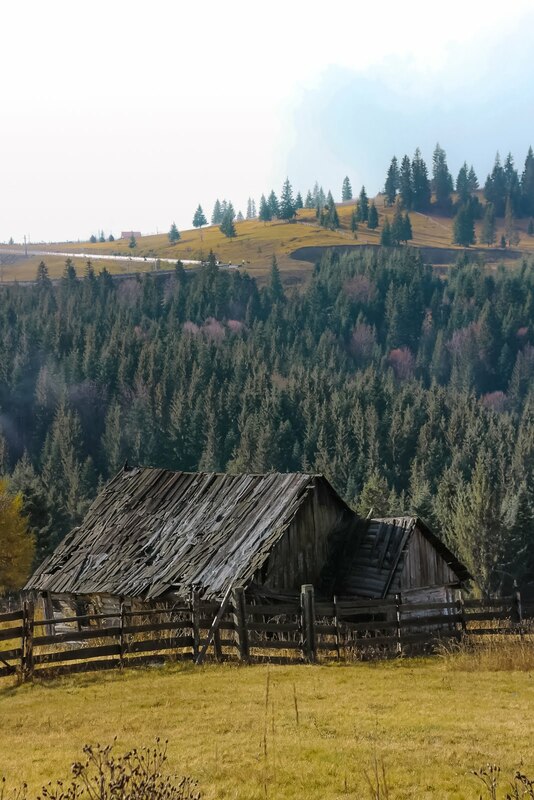 Bucovina is a small region in the northeast of Romania that stands out for its painted churches and monasteries (UNESCO sites) and its wonderful nature. 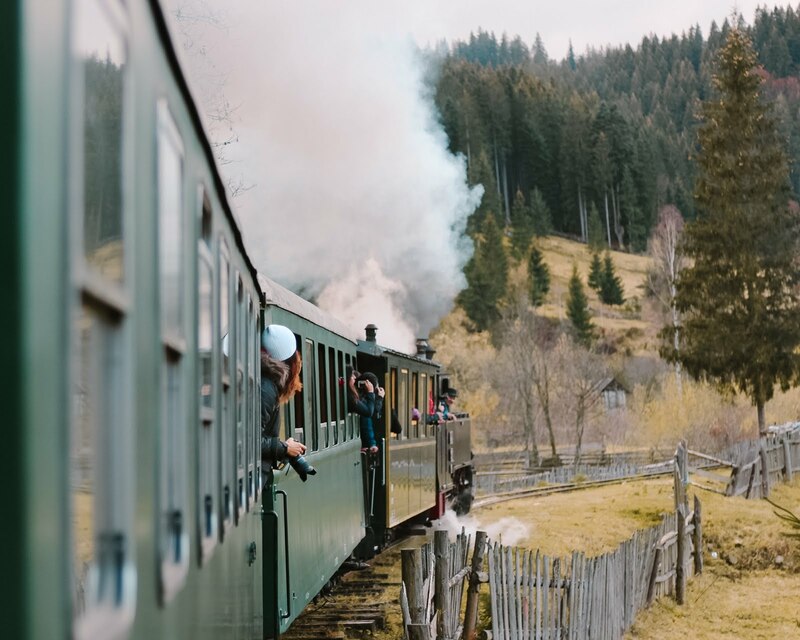 My favorite experience in Bucovina was hopping on the Mocanita, the traditional forest train in Romania that were used to transport firewood. They still have that vintage look from past centuries and the trip in a machinate is also a trip to the past. A wood stove heats each of its four wagons, although my favorite part was hanging outside to feel nature in a fuller way. It is even more magical during the snowy days. In Transylvania there’s a city that never sleeps, a city that is always watching you. 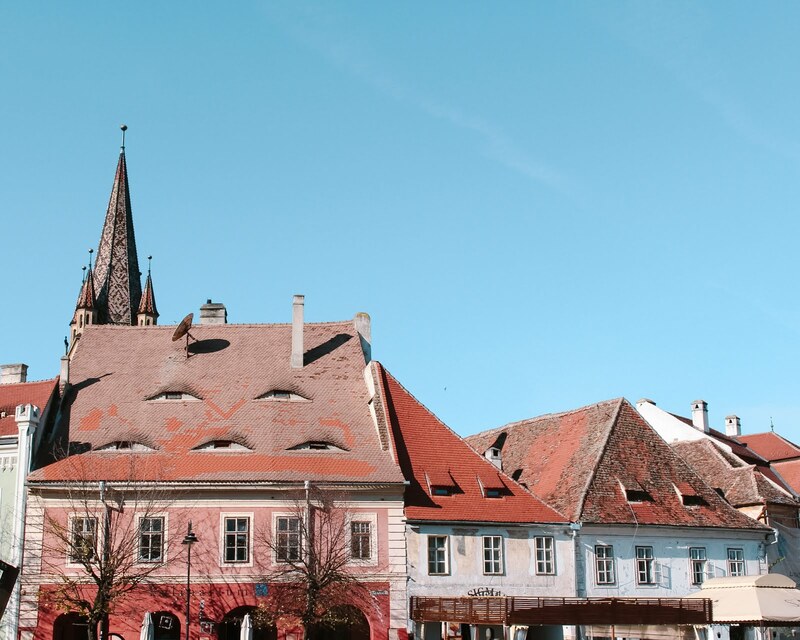 In Sibiu, the houses have eyes. Some have, like humans, two eyes. Others are Cyclops and others have three, four, and up to five eyes. 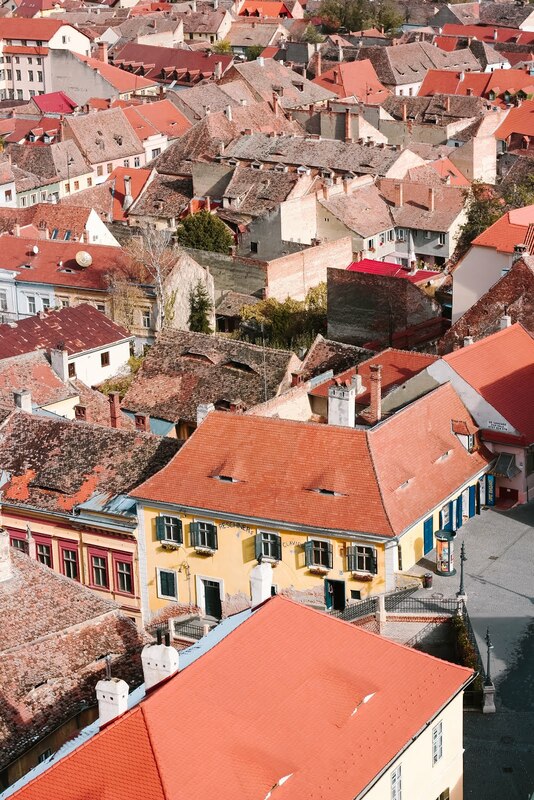 Wherever you go in Sibiu you will feel observed, and in a way, controlled. That was the intention of those who designed the windows of the attics in this way during the medieval era. 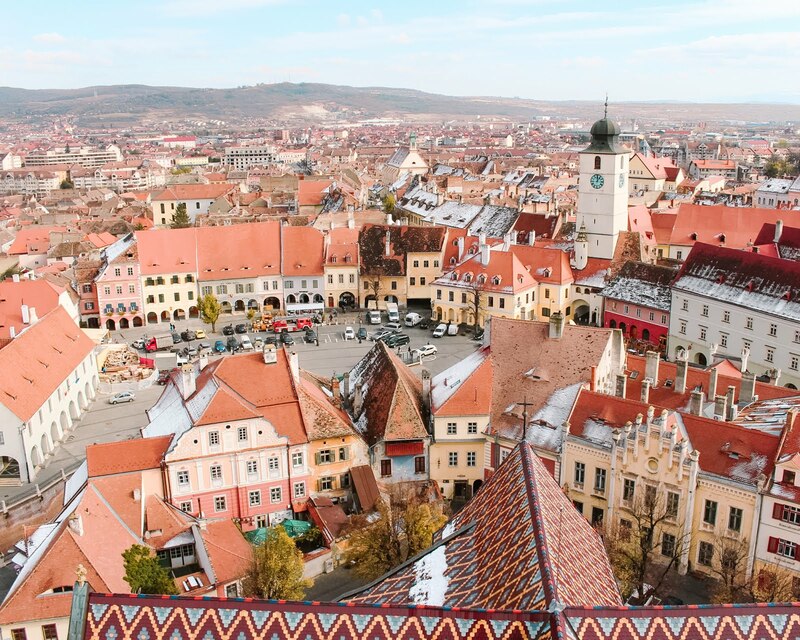 You better behave properly during your stay in Sibiu! Not only should you keep in mind that the houses are watching you. Also, if you cross the bridge of liars and say a lie… you’ll turn into stone. 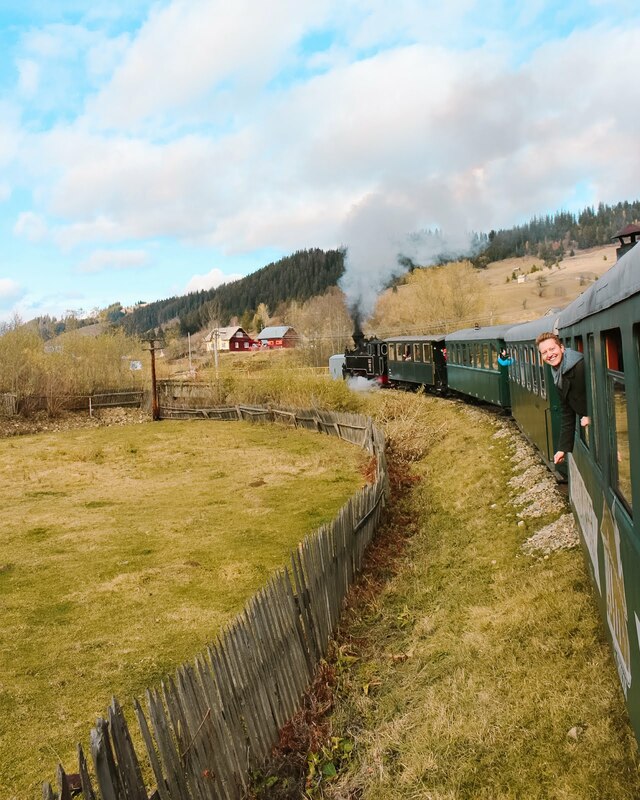 As I said, one of the best attractions of Bucovina is its wonderful nature. 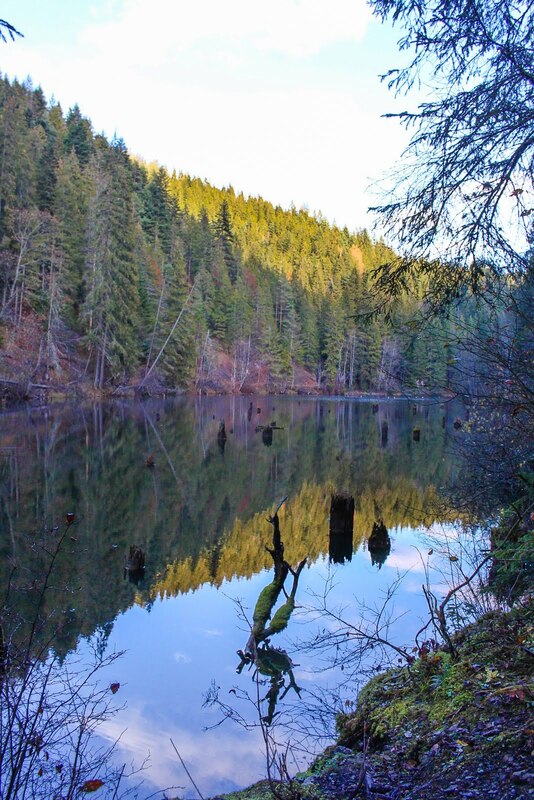 Places like Bicaz Gorge and Rarau mountains are a delight for any nature lover. 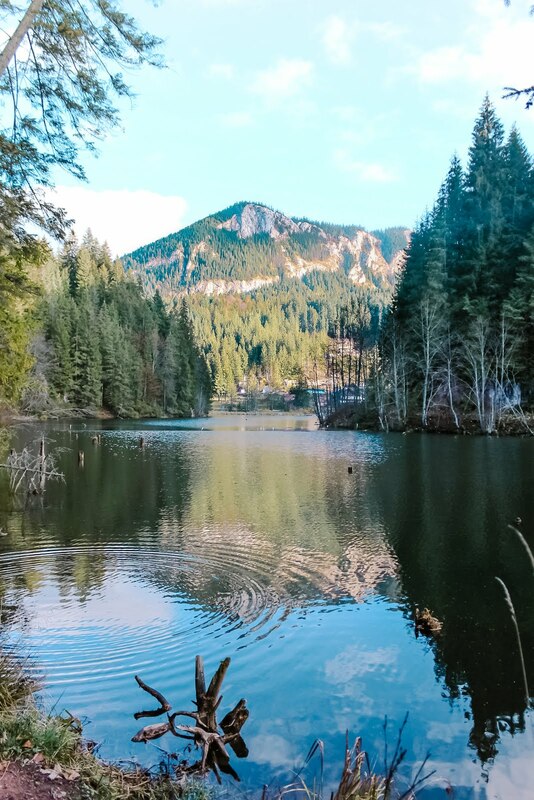 During our Bucovina adventure we visited Lacu Rosso, a lake that changes color depending on the reflection. When we visited it varied between the color blue, green, gold and pink according to the perspective that we have. Can you imagine anything like this on a fairytale? 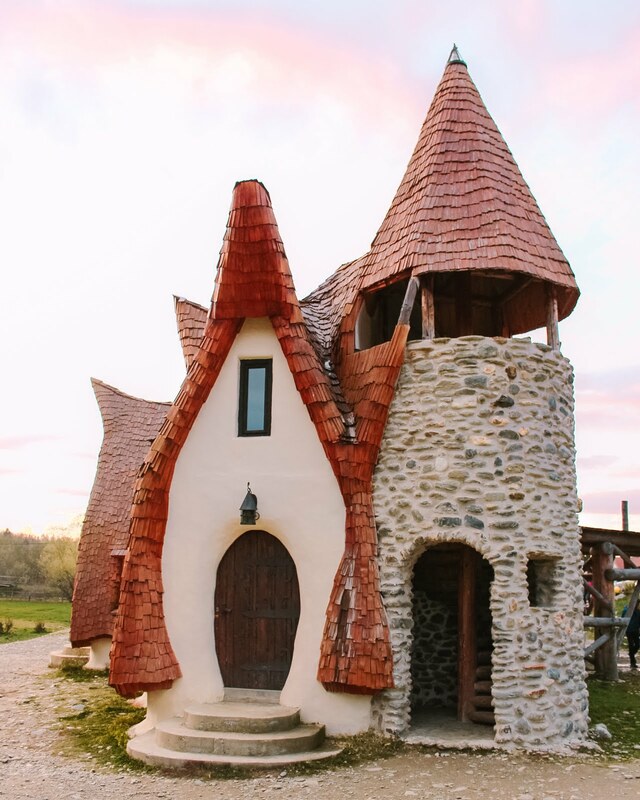 In this case I am not exaggerating, nor am I interpreting what I have seen: the mud Castle of the valley of the Fairies is the literal translation of Castelul by Lut Valea Zanelor, the name of this place. 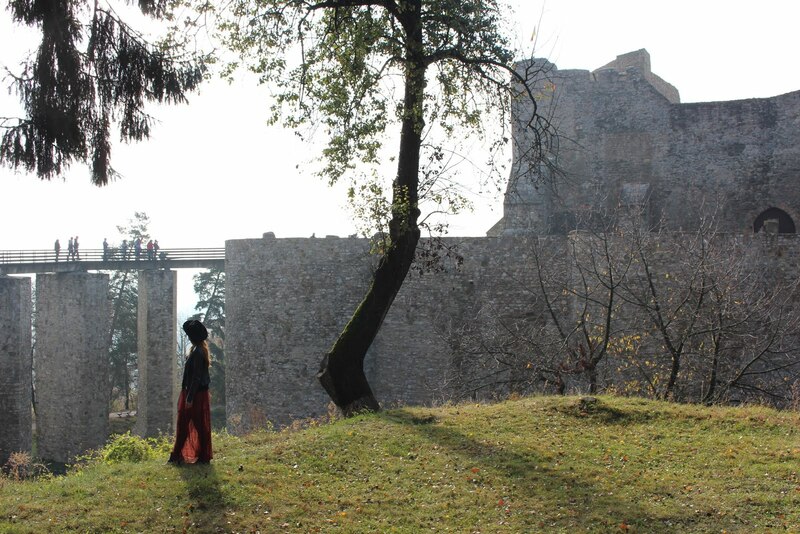 Once you get to Castelul of Out you will feel automatically like in a fairy tale: this place is magical! 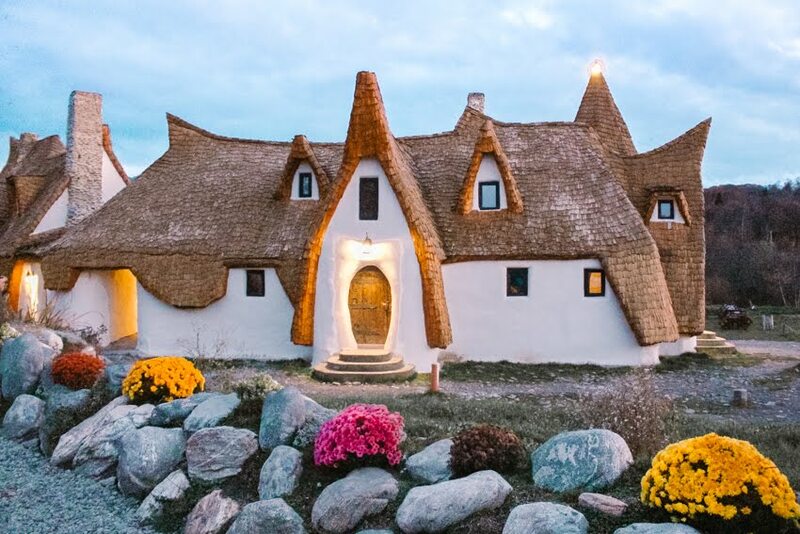 It’s built with 100% natural materials such as mud, river stones and sand. 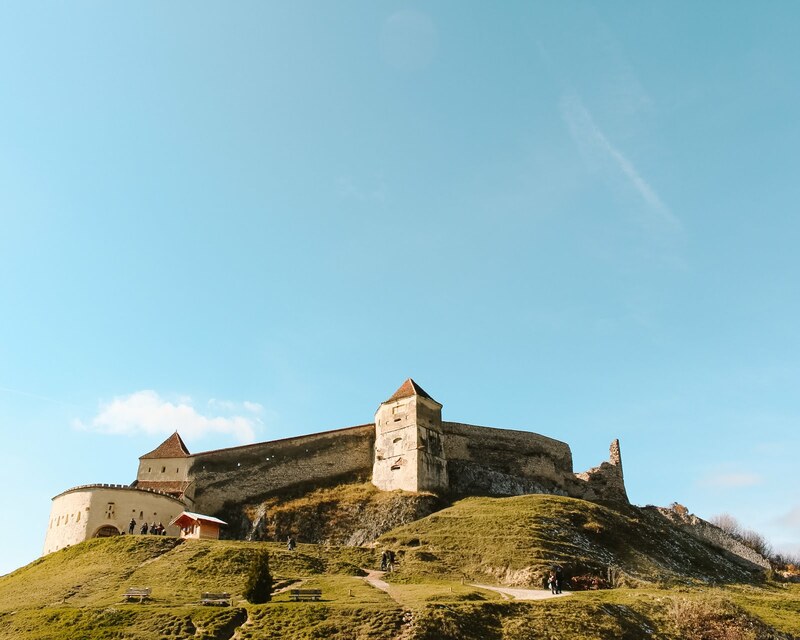 In addition, this castle is in a beautiful area of Transylvania: about 40 km away from Sibiu, not far from the famous Transfagarasan road and with the outstanding Carpathians in the background. Actually, this castle is a hotel that will open in 2018. Meanwhile, it has already become an Instagram spot. 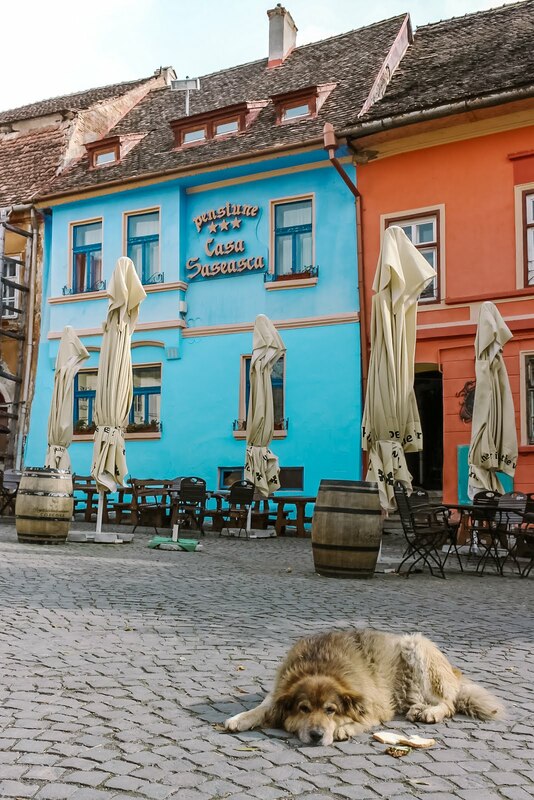 Sighisoara, located in Transylvania is known for being the birthplace of Dracula – actually his alter ego Vlad Dracul, Prince of Wallachia. 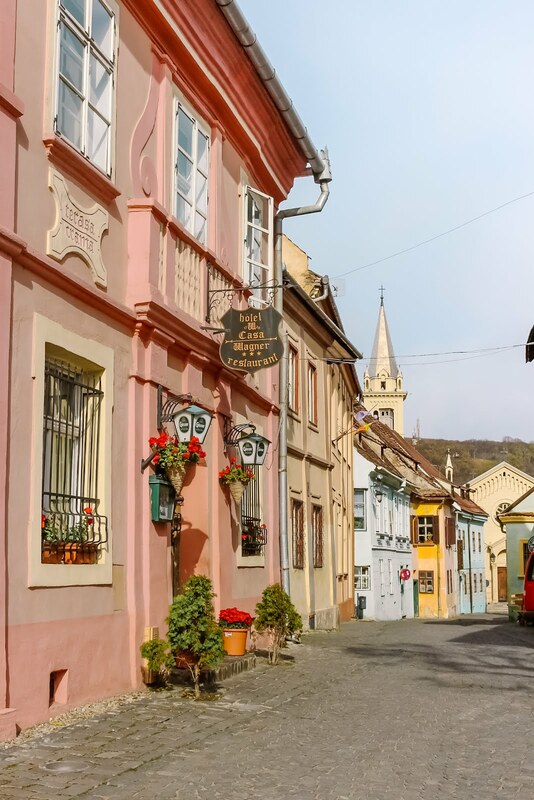 Vampire stories aside, Sighisoara stands out for its beautiful historic center, cobbledstoned streets and colorful houses. From the clock tower you can get the best panoramic view of this small medieval town, considered UNESCO World Heritage Site. Don’t you think this little town could be the scene of a Disney story? It looks like Bella is about to make an appearance surrounded by birds! 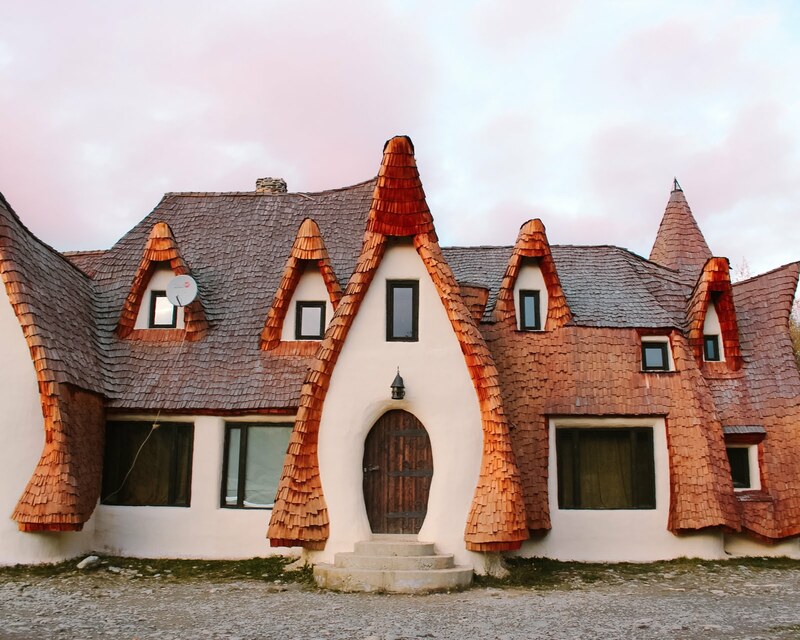 A road trip in Romania is the best way to enjoy its landscapes, which are often dotted with fairytale houses. 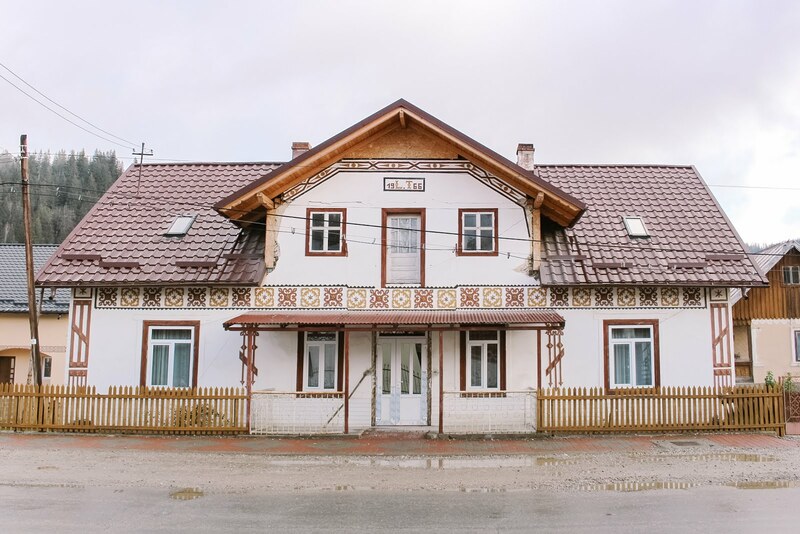 In Ciocanesti, Suceava, the houses are painted like Easter eggs, making this town unique. 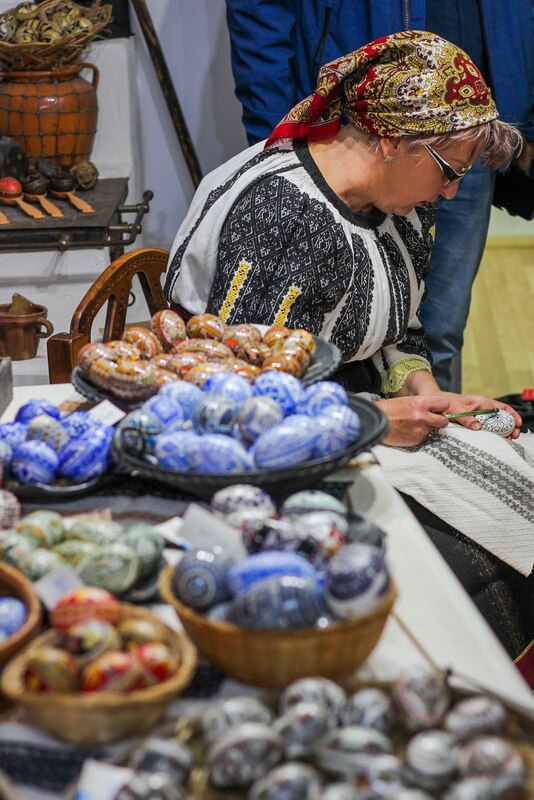 We also visited ASTRA Museum in Sibiu, an open-air museum, that you can visit, strolling quietly through its forest and its lake and finding typical Romanian houses. 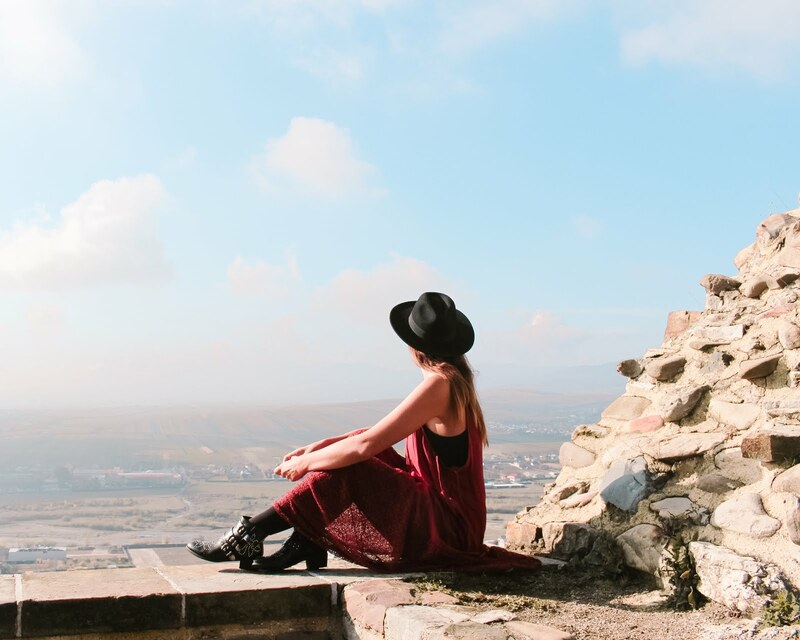 During our trip in Romania we visited two citadels: Neamt Citadel in Moldova and Rasnov Citadel in Transylvania. Both citadels have incredible views and could be the scene for a new Game of Thrones season. 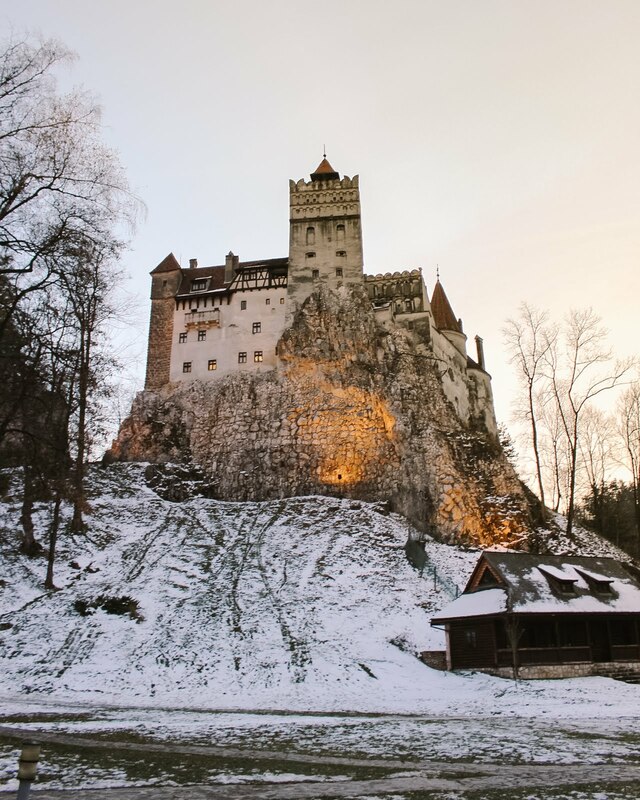 Bran Castle, built on the top of a gigantic rock, is one of the most important tourist attractions in Romania thanks to the legend of the Count Dracula created by Bram Stoker. However, the Irish writer never visited the country – he just created the character based on Vlad the Impaler. However, Bran Castle has been used as a tourist attraction thanks to this legend, even though Dracula never existed. That doesn’t seem to matter, as Bran Castle welcomes tourists from all over the world. One of the most memorable moments of our trip to Romania was being invited to a traditional wedding in Sibiel, a lovely little town close to Sibiu. More than ever we felt we were part of a story. The houses were decorated with flowers, everybody (including ourselves) were dressed in a traditional way and we celebrated the wedding drinking, eating, dancing and of course, enjoying. Attending an event like this is a beautiful and unique way of getting to know the culture of the country. 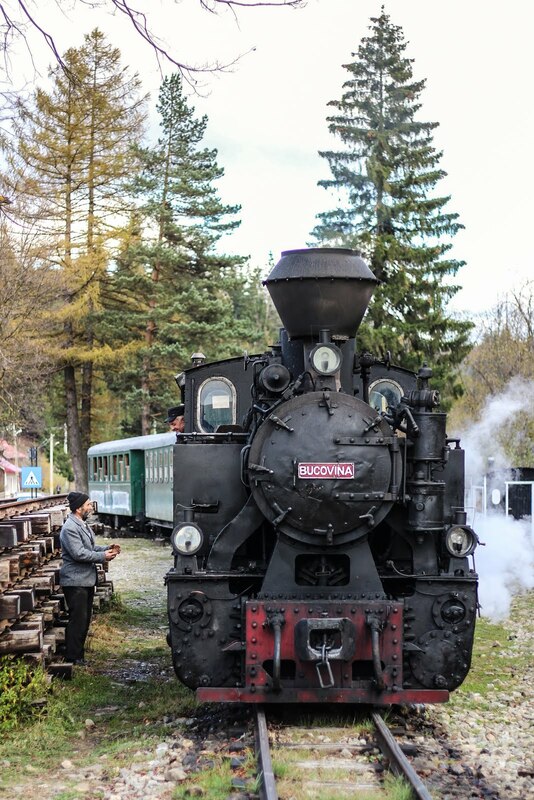 While traveling in Romania you feel you’re in another era. 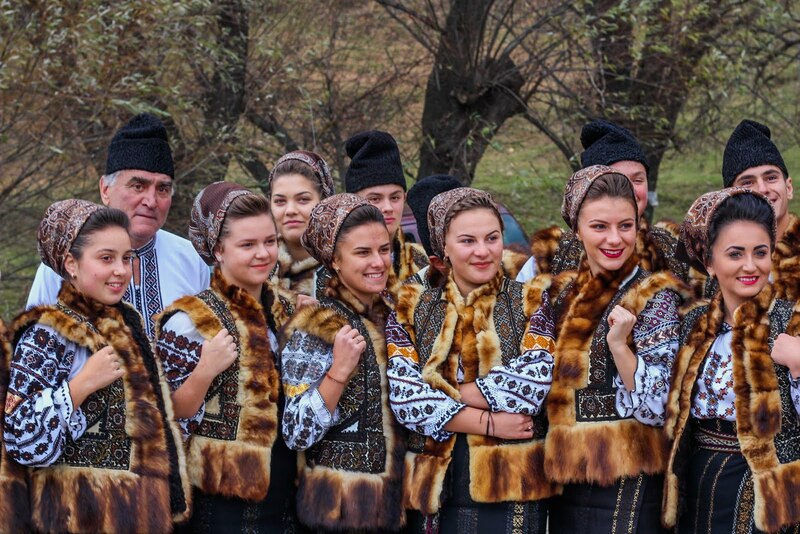 It’s fascinating the love they retain for their traditions, and the number of occasions in which we share moments with the Romanians dressed in their typical costumes. One of the moments I enjoyed most was when we were able to dress in the traditional way. By the way, the colors and embroideries of these costumes change a lot depending on each area of the country. Now, I’ll tell you a secret. My most kept secret is to be write, someday, a children’s book with my own illustrations (I like drawing more than writing!). From Romania I have taken not only memorable experiences, but also a lot of inspiration to build, when the moment is right, a magical universe. Soon you will find new articles on the blog with more extensive information about each of the places that appear in this post. Romania as you see, is much more than Bucharest! 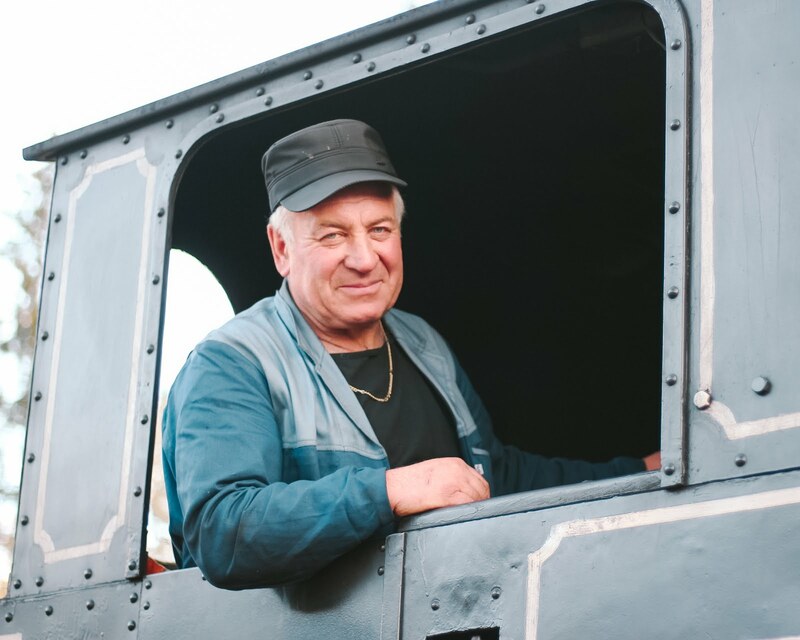 I was invited to visit Romania with Experience Romania. My opinions as usual remain my own.